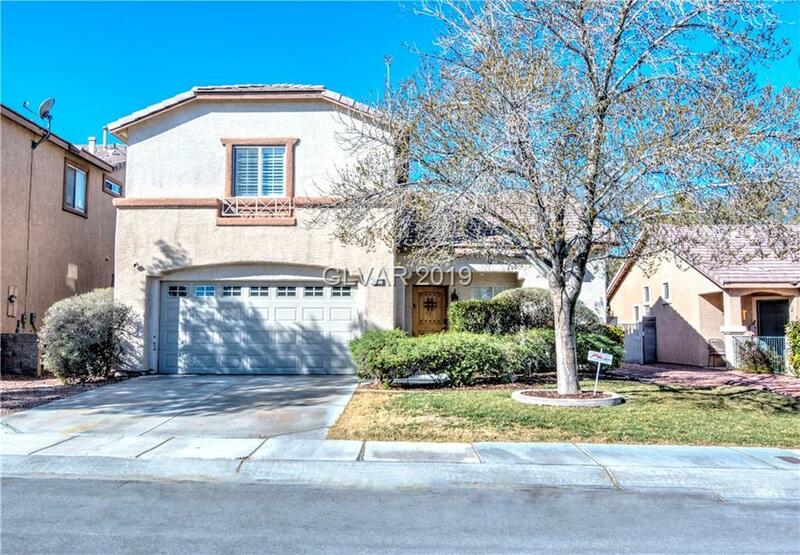 Beautifully maintained Summerlin home w/lots of upgrades & recent updates! Open plan w/custom 2-tone paint, ceilings fans/shutters t/o, refinished cabinets, updated hardware & fixtures, & bed w/full bath downstairs! Kitchen w/granite, stone back splash, & stainless appl! Family room fireplace w/stone accent surround, large dining area, & master w/balcony & views! Lushly landscaped, private yard w/patio cover, beautiful pavers, and gas firepit! Directions: From Far Hills & 215. East On Far Hills, North On Laurel Glen. East On Banburry Cross, South On Woodland Ridge Way, West On Austin Bluff, Turns Into Woodmore.